Easily communicate important info with our text alert service. No matter what sized group you need to reach, our text alert service is built to scale. Whether you're trying to reach 30 or 30,000 people — we've designed our system to assist groups of all sizes with their text alerts. Trust that text alerts sent with our service are actually being delivered. We only use the best quality messaging routes which means you don't have to worry about a critical text alert not making it to your recipients. Our user-friendly text alerts system takes only minutes to set up and get moving. It's easy to get the hang of even if you don't consider yourself tech savvy. We've made it extremely intuitive and simple. What Does a Text Alert Service Do? Sending text alerts is an increasingly popular way to reach large groups of people with critical information using simple text messages. A text alert service powers this strategy by providing a system for sending SMS messages from your computer or a mobile app. You can send urgent text messages and notifications so that the people who need information immediately will have it in the palm of their hands. 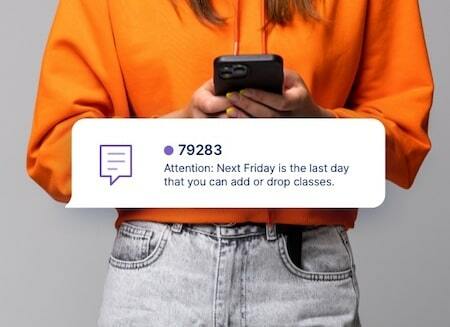 A quality text alert system will have features that allow you to send messages instantly, schedule them for later, and completely automate some or all of your alerts. Don't have a lot of technical experience? Don't worry. Sending text alerts is easy to do. Our service makes the process simple. Here are the three basic steps you need to know. People need to opt-in to receiving text alerts from you, which they normally do through a process called text-to-join. This involves them texting a unique keyword to your short code. What's a short code? It's a five or six digit phone number used for sending text alerts. The custom keyword individuals text to this short code is referred to at SlickText as a "textword." Every textword is its own list of subscribers and you can manage as many or as few as you'd like. There are several ways you can grow your subscriber list. If you've never sent text alerts before then you'll start by having new people opt-in. If you've used a different text alert service in the past you can import an existing list into the SlickText system. Remember, in order to be legally compliant you need proof of consent for every person you want to send text alerts to. In addition to those two methods for getting people onto your list, you can also build web forms that allow people to enter their information to opt in to your alerts. After you've grown your list you can start sending text alerts to everyone subscribed. All you have to do is select which textword list you'd like to send to, compose your text alert message and press send. You can also choose to schedule it to be sent at a later date and time. People across all industries are adding text messaging into their communication strategies. Here are just a few examples of how organizations are using text alert services. Marketing is becoming one of the top ways that companies are using text alert services today. 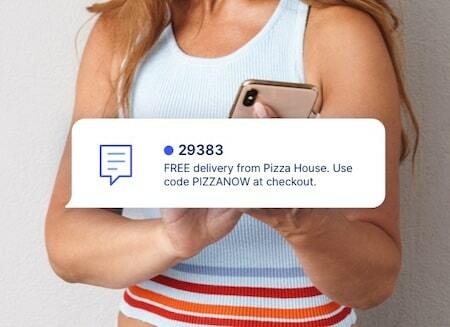 Because over 98% of text messages are read within minutes, businesses have found that their customers respond far better to SMS over email and other types of marketing. When you compare the read and click-through rates to other channels, it's easy to understand why companies are adopting text alerts at such a fast rate. From sending unique offers, to mobile coupons and text to win contests, text message marketing delivers meaningful ROI. Schedules change and events arise that all parties need to be updated on. Don't rely on email or phone calls to get the job done when it comes to immediately contacting faculty or students about timely information. More educational organizations are using text alert systems to send simple text messages to everyone at once. It's unbeatable at keeping everyone on the same page. It's no surprise that you need to get through to people instantly in an emergency. Maybe your worst case scenario involves an active shooter, maybe it's inclement weather, or perhaps it's a power outage. Whatever the case — don't wait until disaster strikes to get your communication plan set up. Find a great text alert service now and it'll be as simple as a few clicks if you should ever have to send emergency messages. Whether it's an IT problem, a power outage, or crucial reminders, using a text alert service to stay in touch with your employees is efficient and effective. Think of all the emails that sit in your inbox unopened. You don't want your important messages to employees to go unread. Instead of emailing, send a text. People read their texts, almost instantly. More and more businesses are using text alerts to keep their employees engaged. The best part is, it's not just about pushing information out either. You can capture feedback and other information using text to vote and SMS surveys as well. Staying compliant with cellular carrier regulations and other laws is an important topic when using a text alert service. While it's relatively simple to understand, there can be pretty hefty penalties for ignoring the basic best practices for text messaging at scale. The TCPA, which stands for "Telephone Consumer Privacy Act", is the set of laws that govern all mass text messaging programs which are designed to protect consumers from unwanted text and phone call spam. At the end of the day, the biggest thing to understand is that everyone you're messaging must have given you explicit permission to be sent text messages. We're sticklers for SMS compliance and have built our entire text alert system around keeping our users protected. We provide several compliant opt-in methods and have even published a guide on compliance to help you understand things in greater detail. With our service we've made things easy so you can focus your attention on communicating with your audience and less on the legal stuff. Why Use Us As Your Text Alert Service? We're not the only text alert service on the market, but we believe we're the best. There's a large range when it comes to quality of services out there, including many that cut corners and aren't all that trustworthy. While we can't cover all of the reasons, here are just a few why we're you're best bet. On the go? No problem. Our sleek mobile app allows you to send and manage all your text alerts on the go. Switching between our desktop interface and app is seamless. We've made it easy to stay connected. You need to know that your messages are actually getting through to your intended recipients. We've committed to using the best North American messaging routes to ensure your texts get through. Do you anticipate the need to send certain notifications or reminders in the future? Schedule these messages at your convenience ahead of time. Our text alert service will send them for you on any day and time you need. A strong communication plan often takes a team. You can invite as many of your co-workers as you'd like and tweak their permissions individually so they only have access to what you want them to. We're always listening to our clients and are constantly adding new features to our text alert system. Whether you have a basic strategy or a more advanced one, we've got the features to meet your needs. We have an excellent customer support team that is extremely knowledgeable on our text alert service. We're ready to help with any questions. We can walk you through anything needed to make sure you have a full grip on how to use it all. Get started with our text alert service for FREE! We're here to help you through anything you need to get started.